This year, a Supreme Court stacked with conservative judges may finally decide the fate of political gerrymandering. The issue comes up to the Supreme Court again on Tuesday when judges will hear oral arguments involving redrawn district maps—one involving a Democrat-controlled legislature in Maryland, the other a Republican legislature in North Carolina. If it feels like déjà vu, it’s because the issue has come before the high court before. Historically, the court has been reluctant to interfere with the ways state legislatures draw up voting districts—a task which falls to the party in power and is inherently political. As one might expect, majority parties tend to redraw state legislative and congressional district boundaries to allow themselves to keep power. As NBC News reports, in both cases going before the higher court today, the maps have already been declared unconstitutional gerrymandering by lower courts. In Maryland (Benisek v. Lamone), Democrats redrew a district map that resulted in the party taking over a seat that had been a Republican stronghold for 20 years. And in North Carolina (Common Cause v. Rucho), a state that has been a wellspring for voting controversies, the state GOP redrew a district map that had previously been declared unconstitutional because it targeted black voters. The new map, revised in 2016, was designed to carve out favorable partisan boundaries, Republicans said. In both instances, state lawmakers were clear about their intent in creating the maps: to consolidate or expand on their party’s power. And with a presidential election and a Census on the horizon for 2020, the court will likely be eager to settle the question once and for all, in order to offer states guidance on how to shape their political maps. Finally, with Justice Brett Kavanaugh sitting on the dais, the conservative majority on the high court has been consolidated and has shifted more towards the right. Given Kavanaugh’s non-interventionist approach, legal experts suspect the Supreme Court will decide that political maps need to be resolved by state legislatures, not courts—opening up the possibility of more blatant gerrymandering for the foreseeable future. 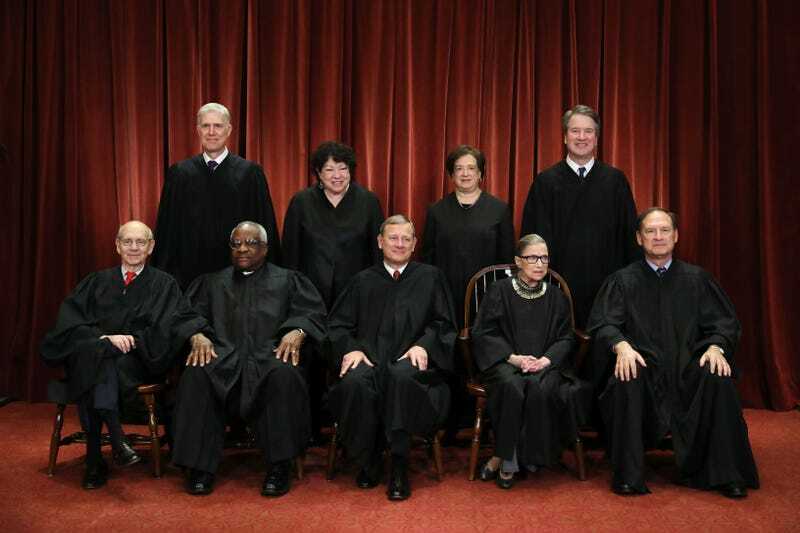 The Supreme Court will make its decision by late June.